20 hours How many drilling sites are left in the Permian? A funny thing is happening on the way to the clean energy future–reality is setting in. There is ‘incontrovertible evidence’ about the economic growth and job creating effects of America’s unconventional oil and gas production boom – more than 600,000 jobs directly attributable to shale gas development. Even President Obama is praising the job creating benefits of ‘America’s resource boom’. America is getting its energy mojo back and that is good news but not the entire story. How Much Shale Gas is there in the United States? In July 2011 US EIA released a [Review of Emerging Resources: US Shale Gas and Shale Oil Plays produced by INTEK. This is an updated assessment of onshore lower 48 states technically recoverable shale gas and shale oil resources. The assessment found the lower 48 states have a total 750 trillion cubic feet of technically recoverable shale gas resources with the largest portions in the Northeast (63%), Gulf Coast (13%), and Southwest regions (10%) respectively. The largest shale gas plays are the Marcellus (410.3 trillion cubic feet, 55 percent of the total), Haynesville (74.7 trillion cubic feet, 10 percent of the total), and Barnett (43.4 trillion cubic feet, 6 percent of the total).The INTEK assessment was incorporated into the Onshore Lower 48 Oil and Gas Supply Submodule (OLOGSS) within the Oil and Gas Supply Module (OGSM) of NEMS to project oil and natural gas production for the Annual Energy Outlook 2011 (AEO2011) to provide a starting point for future work. • More natural gas than Russia, Iran, Qatar, Saudi Arabia, and Turkmenistan combined. The US has Three Times the Proven Reserves of Saudi Arabia in Shale Oil. Global oil shale resources exceed 10 trillion barrels. 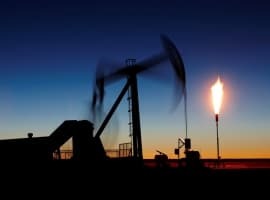 More than 1.8 trillion barrels of oil are trapped in shale in Federal lands in the western United States in the states of Colorado, Utah and Wyoming, of which 800 billion is considered recoverable–three times the proven reserves of Saudi Arabia. The INTEK assessment for EIA found 23.9 billion barrels of technically recoverable shale oil resources in the onshore Lower 48 States. The Southern California Monterey/Santos play is the largest shale oil formation estimated to hold 15.4 billion barrels or 64 percent of the total shale oil resources followed by Bakken and Eagle Ford with approximately 3.6 billion barrels and 3.4 billion barrels of oil, respectively. New Jobs Creation is driven by Low Cost Energy. A report from PricewaterhouseCoopers for the National Association of Manufacturers says low cost domestic natural gas will save $11 billion per year in US manufacturing costs over the next ten years and create more than a million new jobs. This new low cost energy reality is expected to increase disposable income by $2,000 per year per household in the United States. The growth in domestic natural gas production from unconventional sources (shale gas) has decoupled domestic North American gas prices from world oil and LNG prices, reversed the once expected US dependence on imported LNG, and driven down prices to near record low levels from long term reliable domestic energy supply. New Jobs Creation Leads to Growing Worries over Skills Shortages and Fierce Competition for Talent. Just as the shale growth phenomenon takes off, the market face a looming new reality that more than 10,000 baby boomers per day will begin retiring in the US alone. The same fate or worse affects other global markets. The good news is the demand for experience, skills and technology expertise among workers in the oil and gas industry means that many will be coaxed into working longer or auctioning off their expertise to refill their retirement accounts left shattered by the great global recession. The demand for replacement skills is expected to swell the ranks of engineering, technology developers, science, math and software training programs and universities to meet that need. But the bigger need will be welders, plumbers, electricians, skilled machinists and other crafts to install and operate the equipment and support the technology deployment around the world. Market Discipline of Fossil Fuels Weeds Out Coal in Favour of Cleaner Gas. After pursuing a virtual war on fossil fuels imposing one new regulation after another to undermine the economics and weaken the support for low cost energy production in order to reduce demand and thus emissions, opponents of fossil fuels are also faced with a stark new reality. New regulations may force the premature closure of coal generation plants, but that capacity is likely to be replaced with high efficiency natural gas fired generation not renewable energy. Low gas prices are a much more virulent threat to coal than anything the US EPA can dream up in regulations and more ruthlessly efficient. So older coal plants will be replaced with newer, cleaner, cheaper natural gas plants not a bad market outcome. Not a bad environmental outcome either. Meanwhile US EPA is left to take arrows in the chest over its regulatory overreach, piling on in times of economic uncertainty, and deliberate efforts to undermine America’s productive capacity for growth. This weeding out of older less efficient coal fired generation is the natural result of market forces at work. The replacement for many of these retiring coal plants will be load following natural gas because it is the fuel of choice in almost every power market and gas is required to back up every MW of renewable energy. Low gas prices from shale gas production growth make gas the least cost, best fit in almost every region. Delivered energy consumption in the transportation sector grows from 27.6 quadrillion Btu in 2010 to 28.8 quadrillion Btu in 2035 in theAEO2012 Reference case (Figure 7). Energy consumption by light-duty vehicles (LDVs) (including commercial light trucks) initially declines in the Reference case, from 16.5 quadrillion Btu in 2010 to 15.7 quadrillion Btu in 2025, due to projected increases in the fuel economy of highway vehicles. Projected energy consumption for LDVs increases after 2025, to 16.3 quadrillion Btu in 2035. Low Cost Shale Gas Drives Down the Grid Parity Price for Renewable Energy. The same market forces that forced old coal plants to give way to newer, clean natural gas fired combined cycle generation are also impacting renewable energy especially wind and solar. The global glut of solar photovoltaic panels and wind turbines brought on by overproduction by China in search of export growth is now caused governments in Europe to reduce or eliminate feed-in-tariff supports and subsidies as falling prices bring renewable energy prices into competitive levels with natural gas. But the new reality is low gas prices caused by the growth in shale gas production is driving down the grid parity price point. EU government reeling from the Eurozone financial crisis cannot afford the FiT subsidies. Many US states that adopted renewable portfolio standards are nearing their goals and few are following California’s lead to its higher 33% RPS target. The bottom line is renewable energy finds itself a mainstream resource at or near grid parity pricing levels but still dependent upon subsidies for profitability. Consolidation is sweeping the sector as smaller players sell out to larger global players with deeper financial pockets. Taming the bad boys in the neighbourhood. As shale development potential is better understood around the world a slow and subtle trend turns viral as the competition for access to the technology and infrastructure needed to exploit shale development grows. The bad boys in every regional neighbourhood suddenly face pressure from their neighbours to clean up their act. Why? The fierce competition for technology access enables its multinational suppliers to be choosy about where they work–and they choose not to work where insurgents shoot at them, blow up their projects or extort them with out of control corruption. An informal code of conduct emerges that scores each market based upon its potential for profitable returns for the technology and infrastructure vendors. The competition to be next in line for access forces the locals to rein in the bad behaviours and improve their place in the queue. Combined with lower prices reducing the mischief funding potential from Iran, Russia and other traditional fomenters of mischief and the eagerness of nations and NOCs to gain access to Western technologies they need, the elders of each regional neighbourhood reassert themselves to enable their economies to grow. Economic growth results in a rising middle class and demand for less corruption, more reforms and lasting democratic change. Shale development produces the mother’s milk of democratic change envisioned by the Arab Spring but suppressed by the bad boys in each neighbourhood. The enthusiasm for growth accelerates the demand for change. The lessons from taming of the bad boys in the neighbourhood are not lost on despots. A few resist and are forced out by the combination of domestic demand for change and the ‘code of conduct’ smack-down pushing those locations to the bottom of the queue. The fear of being left behind in the wave of global economic growth proves too powerful to resist. Abundant energy reduces global conflict Abundant and evenly distributed energy sources (natural gas) reduce the intensity of competition for new energy sources of New Core countries like India and China. Bringing this new fuel to domestic markets will have a higher priority than energy adventurism (China’s search for energy in Africa.) It also allows important global players to focus on growing their economies rather than growing their militaries to insure themselves against resource scarcity. National Oil and Gas Companies are forced to compete for competitive access to horizontal drilling and hydraulic fracturing technology and the rigs. With many shale gas sources majors and super majors lose interest in some NOCs that have traditionally been difficult to do business with or seeking to retain too much of the profit. Access to water proves to be one of the biggest challenges to shale development. Resistance grows to use of potable water for fracking especially in arid regions like the Middle East where it is more precious. This leads to investment in infrastructure to make use of recycled wastewater effluent and the growth in desalination especially of brackish waters. As infrastructure expands water storage, conveyance and distribution systems are made more efficient and leak less especially in aging systems. The Middle East becomes a laboratory for new energy development with combined heat and power projects and microgrids supporting shale development. Expanding use of solar for small scale applications takes advantage of falling prices for photovoltaic panels produced in China. 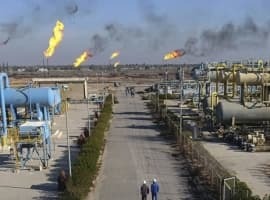 The need for so much new energy and environmental infrastructure positions the Middle East to be a hot bed for clean, distributed energy technology development which accelerates investment by China and others around the world eager to gain access to advanced technology to develop their own shale resources. The growing demand for technology challenges conventional wisdom and overturns old business models. Super majors and horizontal drilling technology leaders create auctions market for their services forcing nations to compete for access to their capabilities instead of the traditional state tenders and concessions. O&G business models shift from owning the product to supplying the technology and getting paid in tradable shares of proven reserves. This leads to vast portfolios of distributed shale resources that are fungibly traded to balance risk, reward potential and accelerate economic growth in an open market rather than through OPEC. Russian, or Qatari dominated monopolies or NOC bilateral deals. In such competitive markets bad boys like Iran, Venezuela and others are stranded unable to compete in open markets and unable to extort providers at home who threaten to leave or do leave for better opportunities elsewhere. Other markets like Mexico where self-imposed constraints on outside investment or foreign ownership have undermined growth and limited access to technology find the open markets a way out of their trap and seize it by bidding for new technology to restart their E&P growth using the global portfolio exchange to pay for their E&P development with tradable contracts from future production and reserves. Investment in technology develop and infrastructure services skyrockets as each regional market seeks to improve its place in the queue and looks for new technology players eager to steal business from super majors by offering better deals on upstart companies. In fact, this growing market for new energy technology is funded by super majors, sovereign wealth funds and traditional energy suppliers eager for access to new technologies. The ripple effect of E&P growth widely distributed accelerates global GDP, encourages investment, lifts millions out of poverty and intensifies demand for democratic reforms to assure sustainable growth. PriceWaterhouseCoopers reported that in the first three quarters of 2010 shale gas M&A deal value had grown to $20.1 billion from $6.8 billion in the same period in 2007. This deal flow increase resulted from energy majors leveraging their financial strength to position their companies for growth in shale reserves markets was driven by wildcatters or small independents like Mitchell Energy that is largely credited with development of horizontal drilling and hydraulic fracturing as a way to creating a market so they did not have to compete head to head with the majors. But the growth of unconventional oil and gas E&P success attracted the majors and other investors eager for a piece of the shale growth action. Today major oil companies are large investors in shale recognizing its growth potential and leveraging it as an alternative to conventional oil and gas plays with growing environmental restrictions and rapid decline rates. In fact, the growth in unconventional oil and gas has largely offset the decline in production output from conventional US sources. Approximately one-third of total U.S. delivered energy, 23.4 quadrillion Btu, was consumed in the industrial sector in 2010. In the AEO2012Reference case, total industrial delivered energy consumption grows by 16 percent, from 23.4 quadrillion Btu in 2010 to 27.0 quadrillion Btu in 2035. The largest user of energy is the bulk chemicals industry, which represented 21 percent of total energy consumption in the industrial sector in 2010. By 2026, however, the refining industry, defined as including energy use at petroleum, biofuels, and coal-to-liquids (CTL) facilities, becomes the largest energy-consuming industry in the AEO2012 Reference case. Collectively, the energy-intensive manufacturing industries such as bulk chemicals, refining, paper products, iron and steel, aluminium, food, glass, and cement produce slightly more than one-quarter of the total dollar value of industrial shipments while accounting for nearly two-thirds of industrial delivered energy consumption. Although the energy-intensive industries are expected to recover from the recent recession, their long-term growth is slowed by increased international competition and a shift in U.S. manufacturing toward higher value consumer goods. The dollar value of shipments from the energy-intensive manufacturing industries grows by 29 percent from 2010 to 2035 in the AEO2012 Reference case, while the value of shipments from non-energy-intensive industries increases by 57 percent. As a result of the shift toward non-energy-intensive manufacturing, total industrial delivered energy consumption increases more slowly than total shipments, and the energy intensity of industrial production declines. Low energy prices also bring energy security as long as reliable supply is sustained reducing American dependence on imported oil and natural gas from the Middle East and reducing the volatility of oil prices as demand is distributed across wider global supply opportunities from shale. Low energy prices especially in oil undermine the economies of OPEC member states and reduce their geopolitical and global economic leverage. This can lead to a change in US foreign policy priorities away from the Middle East. Gary Hunt is President, Scalable Growth Strategy Advisors, an independent energy technology and information services adviser and a partner in Tech & Creative Labs, a disruptive innovation software collaborative of high tech companies focused on the energy vertical. He served as VP-Global Analytics & Data at IHS/CERA; global Division President at Ventyx, now an ABB company; and Assistant City Manager-Austin Texas responsible for Austin Energy and Austin Water. So the US has three times the proven oil reserves of Saudi Arabia in shale oil, does it. I wrote something like that in my oil book - published in l980 - and made a statement somewhat to the effect in a workshop in Vienna some years later, and an American business executive called me a fool for my optimism. Three times the proven oil reserves of SA in shale oil, and according to another expert twice the oil reserves of SA in shale gas. I wonder how intelligent people can believe that this sort of thing is relevant, even if it is true on the plane of ARITHMETIC. Isn't it clear that SA and the other OPEC countries are going to bank more than a trillion dollars this year (unless the global macro economy goes into the can), and regardless of US shale deposits, the price of oil today (Brent & WTI averaged) is about $110/b at the present time, which is too _______ high. Some advice for the author of this paper: read before you write. Yes, it is wonderful with shale gas, and it is going to be a big help, but not as big as some people unfortunately believe. Thats all fine and good but what about drilling for this stuff polluting the ground water and maybe making it possible to cause earthquakes..is the trade off worth it? Thank You, Really the best article I have seen to help understanding the new energy sources. We in the USA have always had the resources for power and also the fresh water for all uses that is clean and available. I am relieved to know we can continue to grow and compete world wide with the addition of such new technologies. Now if the government can stop looking for ways to regulate and tax this new industry we will be again the leaders in the world in any area we choose for our economic growth. Our universities had better see the future and respond. They have become dependent on the govt to answer all their needs, and are now under heavy regulations to receive fiancial gifts from Washington,DC. If the water pollution and earth tremor problems were even vaguely serious then the amount of shale gas produced by the US would probably have wiped out half the population by now. The frakking endangers irreplaceable fresh water sources and I believe will indeed cause a very bad earthquake eventually. People forget that there is a huge fault through the middle of the country that historically has been activated every 300 yrs or so. And a quake under soft soil instead of rock is like a tsunami on land. But we seem to be taking this course no matter what. Kind of like stating that you'll drive full speed into the dark and then see IF there is a cliff ahead. Sigh. Fracturing in oil exploration has been used safely for decades. In fact, every oil well ever drilled penetrated the water table with very little environmental impact. The earthquakes so many refer to were NOT caused by fracturing, but by an improperly used injection well. If you'd like to get your facts straight about this subject, try reading http://tinyurl.com/85up4b9. With all the new gas we have dicovered why don't we hear any news regarding gas to liquids (GTL) technology and developments in the US. Shell is building a major plant in the UAE expressly for GTL and exporting clean diesel to Europe (BusinessWeek). Also Celanese says their new technology for converting coal to ethanol is a game-changer (Bloomberg), doesn't this open up a whole new direction for clean coal? Sorry but I do not buy the hype. Yes, the carbon is there. But it is trapped inside shale and is very expensive to get out. Once we pay for the energy required to produce shale gas we find that we cannot generate enough profit from the sale of that gas. That is not a positive situation no matter how it is spun, particularly when we consider that our negative returns come from the exploitation of the core areas of the best formations. We are facing a serious problem and it is time that serious people looked at serious solutions. Sadly, shale gas is not one of those solutions. Everyone wants to be optimistic, but the facts are overwhelming. Oil is fungible and a global commodity. Global oil exports have been shrinking since 2005, and continue to shrink. 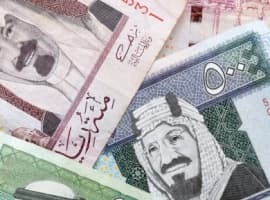 Just this weekend Saudi Arabia anounced a significant reduction in exports. We are nearing an energy crisis because of oil shortages. We can assume there are plenty of reserves in the US, but they cannot makeup for the reduction in available global exports. The price of energy is global and will be reflected in the prices that we pay: from food to gasoline. Love the article. When I was a student, I did a major study and paper on how the USA won WWII. We let Japan run out of OIL!!! They used up their own resources. Therefore, from a foreign policy standpoint (yes, I am educated with a BA and MA in Political Science), it was a strategic move for the USA not to tap into its own natural resources, but hold it as reserves, and instead import its oil from the Middle East or other sources. Should another world war break out, it would be a good idea to retain for such a possibility, such resources in order to protect lives. It is a situation from a national policy view, that the USD is wheeled out of negotions, and as an oportune time, tapping into such resources allows the USD leverage the wheel itself back into the internation currency arena. The other nations know this, they look forward to us doing something like this which, while beneficial in the short term is going to weaken this nation later, and we are on our way to permanently loose that upper hand. I'd rather pay more now, than sacrifice the greatness of this nation, its people, looking down, generations to come. Well, smartypants, it's a good thing that you did not have me for a teacher, because the above comment would have gotten you an F. At the same time I will admit that you have offered the germ of a good idea: it is a good idea to have sufficient resources domestically when the nutters in other countries conclude that it is time to clean your clock. The most important resources however are competent engineers and technicians. Of course, the villains here are your teachers. One of the things I learned in Uncle Sam's army was that when you are in presence of fools, you should operate on that level, but not when you are out of their range. By the presence of fools I mean your teachers. Anyway, let's be clear on the war in the Pacific. The Japanese did not have a chance, and some of the top Japanese military people knew it. What chance they did have was given them by the excruciatingly ignorant Gen MacArthur, who - during the Korean War - was called monumentally stupid by General Omar Bradley. How do I know all this? It's because I spent 6 years in the US Army, and half of that I spent talking with very smart people - Americans, Germans and Japanese. "Sorry but I do not buy the hype. Yes, the carbon is there. But it is trapped inside shale and is very expensive to get out." Absolutely. There's a reason that all of that shale oil is still sitting in the ground. 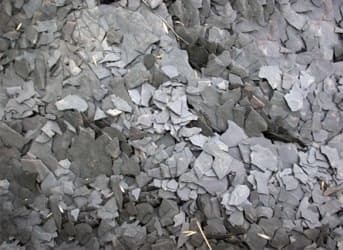 It has the consistency of asphalt and is very expensive to extract and to process. Economics matter! Clearly the economics of shale gas are much more favorable than the economics of tapping into shale oil. Shale oil is far more economical to produce due to high oil prices now. Economics in the shale basins improve over time if prices are high. And it is an economic powerhouse that has made me wealthy because I took a risk on some Bakken properties. I wish we'd just gone with ethanol from the start--about a hundred years ago. Alcohol is a superior fuel in virtually every respect and its production actually reverses greenhouse gases by carbon sequester. We can grow many times the amount of fuel we need without affecting food supplies at all, right here in America. The demand would be such that we would have huge increases in employment in agriculture and processing. There would be many many valuable by-products from the production, including high-quality animal feed that is much better than grain. The only things fossil fuels should be used for are those that don't involve burning, like plastics, asphalt, and a ton of other very important uses...but burning it is polluting and unnecessary, and science bears that out. Consider Brazil: 1% of its agricultural land is used to grow sugarcane for alcohol fuel. Consequence? Brazil imports no petroleum. The government made an investment in its country several decades ago to head this direction, and they have achieved it. Brazil's economy could care less about oil price spikes...in fact, it benefits, as it exports large amounts of it. There's no reason America can't start this right now. There are a ton of crops well-suited to produce alcohol (corn is an average one that happens to be easy to grow, but there are much better ones, as well as agricultural "waste" which can be converted). With enough investment in processing and agriculture, we could wean ourselves off foreign oil within a decade and off fossil fuels entirely in two. It is a truly renewable resource which can scale to the whole country, which (unfortunately) solar and wind cannot, at least not yet. An eye-opener for anyone who has been duped by the ethanol myths. All the numbers are there and proven. We just need to do it. "The Energy Returned On Energy Invested (EROEI) for fracked shale gas is dramatically lower than for conventional supplies. In the US shale gas production costs a multiple of the current selling price." I say do an evaluation. Put regulations in place if its deemed they can drill for oil by fracking or any other way. Have a panel of say unbiased judges or equivalent that would hear anything in the area of ppls complaints if they were contaminated by drinking the water or another form of toxic pollutants used by the drilling. Monitor the oil companies to make sure they are sticking by the regulations and if someone was to get sick by drinking contaminated water or breathing toxic air caused by the drilling the oil companies would be 0 liable. After they go to (court) infront of the panel they have to pay the suit within a month.. I bet after the oil companies see this than I would bet its not that safe to them anymore.. LMAO........Huge reward.. but if they get someone sick via cancers or other things make them pay triple.. they shouldnt have anything to worry about right.. they just had several ppl do all kinds of study and its safe.. right.. These are astounding numbers and they appear to be reputable. Why are we in the Middle East, building wind farms in Nantucket Sound and burning food for fuel? The only obvious answer is politics and a congress that would be more productive stamping license plates in prison. Fracking has been around for a long, long time, but it was not used as much - or in as many areas as it is today. It does contaminate ground water supplies - often in the country where people depend on clean/potable well water for their lively hoods. yes and the amount of energy required to extract the shale energy is high ... maybe 1 gallon of gasoline to extract 3 'gallons of energy" or gasoline equivalent - from what I've read. I think we should utilize the power of our Sun ... it is a very nice fusion reactor - after all. The plants seem to like the Sun as well. Is this not hype? If not, then well and good for the USA. Well, here we are on Jan 20, 2016. Our first overseas shipments of oil shale left about 35 days ago. And oil is significantly below $30.00! Does take time for newer methods of extraction to be implemented. But, finding shale oil and gas and extracting them become less expensive every day. As of 11-23-2015 per Rystad Energy, cost of extraction per barrel data: Saudi Arabia ($9.90), Iraq ($10.70), Russia ($17.20), Venezuela ($23.50), Nigeria ($31.60). US shale cannot compete with this...but it doesn't have to. All of these countries are much more dependent on selling their oil at a much higher price. A shale operator, if it is not cost effective to extract (that's where most of the expense is) can "sit" with their shale oil in natural storage waiting for price to equal their costs. If they can't wait this out they can sell their rights. The world market cares very little if the US oil shale comes from an original owner or anyone else. And, at this time Iran just got back into the market and will throw in their 3MM barrels a day. They have some infrastructure issues but a lot of oil stockpiled. Big oil also has some new offshore operations coming on line. Even with China slowing down (how much of what they were doing was a "growth bubble"?) world demand for oil will shortly (6-12 months) be increasing again. So, oil prices will go back up. The bottom isn't economically important. It may be important for "the market," but that is a very different story. What is important is what happens when the world price gets back to the price at which US shale operations can produce "at cost." If we see shale operators going full crew, paying down debt, and fighting the Mideast for every cent of revenue above cost...the price of oil is not going to pop right back up anytime soon. Shale operators have waited a long, long time for this and I don't believe they will not be denied.